Walks around the vicinity throw up all manner of things: half-alive cicadas, scorpions, decapitated mice, rogue dogs chasing our cats up trees, dung beetles, wild boar damage, 20-metre trails of black ants and the odd dead bird (not resting). 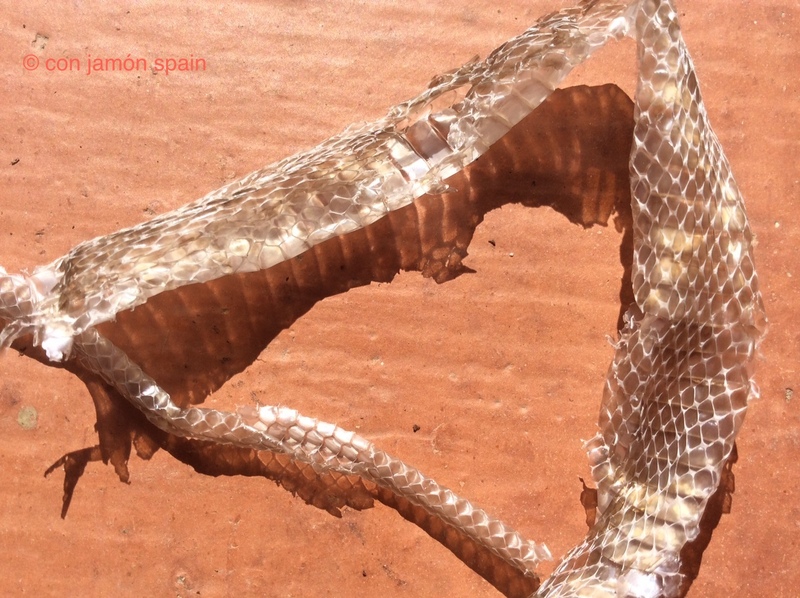 So here today, gone tomorrow – we can now add a shed snake skin to the list. It’s beautiful, like a silver necklace. 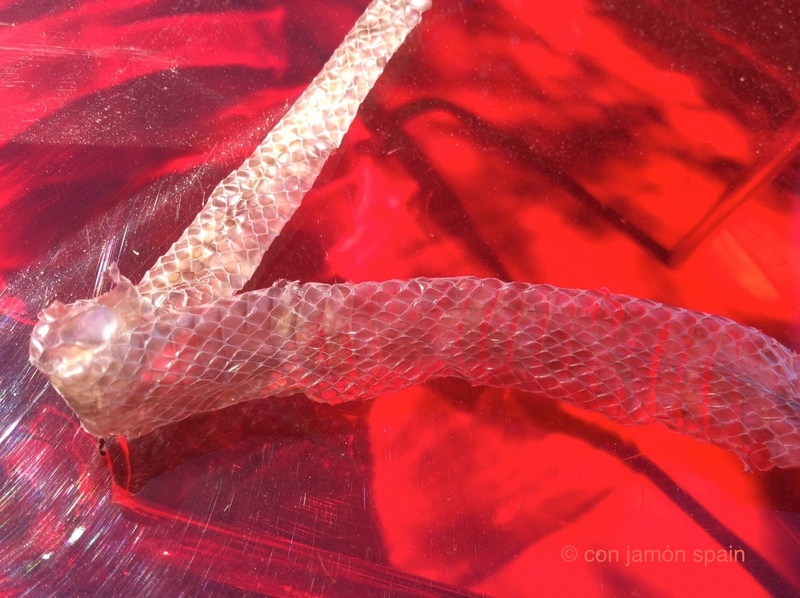 The close up photos show just under a half its length, making it roughly 80cm long. After our cat’s tussle with one twice as big a while back, we’re beginning to wonder if, like rats in London, we’re never more than five metres away from one. There’s a slight breeze today and when the skin moved while taking the shots, it slid across the tiles like, well, a snake. Even a discarded, wafer-thin skin makes you take a step back. We tried to be a bit arty with the second photo (red plastic chair). Click on images for higher-res.